DESIGNED FOR REAL LIFE Behind every product is a story and that story starts with you. Your home is an expression of who you are and how you live. Our passion is creating better products that turn everyday routines into enjoyable experiences. We understand the dynamic nature of modern living. We deliver products that are adaptable, functional and durable, as well as human. We don’t just make things that fit the space provided, we create products that fit the lives lived around them. Live life—we’ll take care of the details. 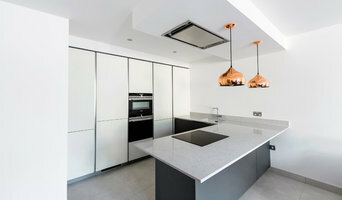 Elements Kitchens was founded in 1995 by kitchen designer Michael Taplin and partner Sarah Dunkason. 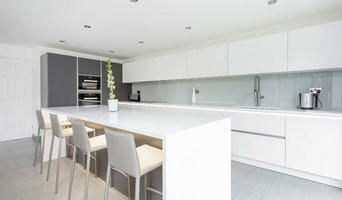 Building the business initially from pure recommendation, it now boasts thousands of satisfied clients and one of the most impressive kitchen showrooms in the South East. Elements have a team of experienced designers and craftsmen, creating inspiration and dedicated to bringing you the best of what’s available in kitchens and design. Our philosophy in kitchen design brings together the key principles of modern home living encompassing the social aspects of entertaining and cooking, ergonomics, visual excitement, warmth, luxury and longevity. Every detail of your kitchen is project managed with industry leading guarantees which makes the whole elements experience an inspirational one. Let the skilled team at Audus Kitchens help you design your new luxury fitted German kitchen to make your dream kitchen a reality. We are more affordable than you realise and we'll spend the time to make sure that all the little details are just as you want them so you can enjoy your new kitchen for years to come. Audus Interiors Ltd is a family-owned business specialising in providing luxury German Kitchens at a budget to suit everybody. We were established over 20 years ago and are conveniently located on the borders of Hampshire, Berkshire and Surrey, with an additional office in St. Albans, Hertfordshire. We are committed to providing a personalised service to all our clients throughout Berkshire, Surrey, Hampshire, Hertfordshire, Buckinghamshire and the rest of the South East. 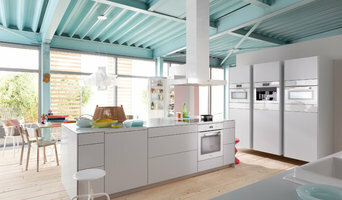 We also offer a supply-only service for the rest of the UK Our German kitchens are built to order and manufactured by Nobilia, the world's largest kitchen manufacturer. A kitchen from Audus Kitchens is like none-other, it will offer you unparallelled quality, design and importantly it will feel like a premium-kitchen. Amina The Invisible Speaker Co.
Amina is the world’s leading supplier of Invisible Speaker solutions. Our UK offices and manufacturing facilities are located in Huntingdon, Cambridgeshire, England. With our main distribution hubs in both the UK and North America, along side our world wide Distribution Partners, Amina provides unsurpassed sales support and fast products shipment. We strive to create audio technology that presents a ‘lite touch’ in terms of its direct physical impact on the interior design, whilst also delivering high quality sound for both commercial and residential applications. Amina works closely with its industry partners (distributors, customer installation specialists and acoustical consultants) to provide aesthetically stunning audio solutions for end users. It is not only these partners and industry specialists that are excited by the product but also architects, interior designers and other design conscious specifiers. The dispersive nature of our Speakers enables them to be used effectively in challenging situations such as the highly acoustically reflective spaces found in many modern buildings and open plan environments. Our products are used in stunning projects across every continent, which include Home Theatres, multi-room audio systems, private swimming pools, listed buildings, hotels, restaurants, theatres, place of worship, fashion retail premises, boardrooms and hospitals. Loft ladders - floor boardings - roof insulations - mini loft conversions Attic Access NI company is experienced in the loft ladder installations and related services, trading for over nine years in Belfast, Norther Ireland. Attic Access NI is fully insured and our work and products are guaranteed. By fitting a good quality OMAN loft ladder, you make it easy to turn your loft into a clean, easily accessible and useful storage area, increasing the usable space in your property and adding value to your investment. We are able to enlarge your existing loft opening or create a new opening in a more suitable position. We can supply and install loft ladder on the same day. Please call 0794 224 6414 and Attic Access NI will be pleased to advise you on which loft ladder would be best to instal in your property in order to make access to your loft SAFE and EASY. Beautifully designed and expertly engineered cooker hoods, manufactured in Italy. Exclusively Imported into the UK by Euroline. 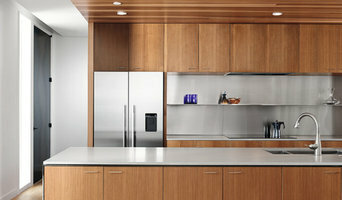 If you’re struggling to find home appliances from your local department or electrical store to fit with your design, browse through the appliance professionals Houzz lists here. From ovens and ranges to wood burning stoves and vacuum cleaners, there are appliance retailers offering all sorts of home convenience items. While you probably know what type of appliance you’re looking for, installing it could be another matter. With toasters, microwaves, blenders, vacuum cleaners and other plug-in and play devices, you may not need much help, but ovens, wood burning stoves, range cookers and extractor hoods will need more work. Finding an appliance installation professional on Houzz will mean they will handle the complicated setup of your appliance without you having to worry about confusing instructions and dealing with gas plumbing. You can find trusted appliance brands on Houzz for products that you can rely upon time and time again, but sometimes you may be after a unique item that can’t be found in every other kitchen. Browse through Houzz’s selection of appliance professionals to look at the bespoke and exclusive appliances that are made and produced by appliance retailers. A professional can also advise you on the latest technology that’s available for various appliances; whether that’s a fridge with extra gadgets and features, superb surround sound systems or super-powerful but eco-friendly vacuum cleaners. We can all become very reliant on certain, trusty appliances, so when they die on us it may seem sacrilege to throw them out and find a replacement. Instead, look for domestic appliance repairs professionals on Houzz who can fix your electrical appliances for you. Oven, dishwasher or washing machine repair may be cheaper than buying new items, depending on what the problem is, so always ask an appliance repairer first. Some appliance professionals may want to work closely with builders, kitchen installers and interior designers, among others, to ensure your appliances fit with the building and interior design. Here are some related professionals and vendors to complement the work of appliances: Kitchen & Bath Fixtures, Kitchen & Bathroom Designers, Kitchen & Bathroom Fitters, Specialist Contractors, Main Contractors. Find a domestic appliance repairer, installer or seller on Houzz. Narrow your search in the Professionals section of the website to appliance retailers. You can also look through photos to find examples of rooms with appliances you like, then contact the professional who worked on them.